After many "out-of-print" years, this volume has been reissued in response to an increasing demand for copies. This reflects that the fundamental questions that motivated this book thirty years ago are still being asked. But more important, the answers -- or at least their outlines -- now seem to be in sight. In 1968, this book stood as an expression of a paradigm crisis in its critique of the state of personality psychology. The last three decades have been filled with controversy and debate about the dilemmas raised here, and then with renewal and fresh discoveries. It therefore seems especially timely to revisit the pages which posed the challenges. 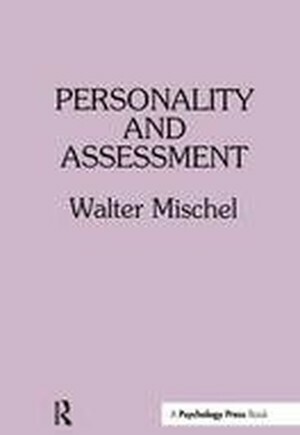 Mischel outlined the need to encompass the situation in the study of personality, but with a focus on the acquired meaning of stimuli and on the situation as perceived, viewing the individual as a cognitive-affective being who construes, interprets, and transforms the stimulus in a dynamic reciprocal interaction with the social world. He focused on the idiographic analysis of personality that had originally motivated the field, and the complexity, discriminative facility, and uniqueness of the individual, and sought to connect the expressions of personality to the individual's behavior -- that is, to what people do and not just what they say. Even the intrinsically contextualized "if...then..." expressions of the personality system -- its essential behavioral signatures -- were foreshadowed in this book that fired the opening salvo in a search for "a truly dynamic personality psychology." Contents: Introduction. Consistency and Specificity in Behavior. Traits and States as Constructs. Personality Correlates. Utility. Principles of Social Behavior. Behavior Change. Assessment for Behavior Change. Personality and Prediction.